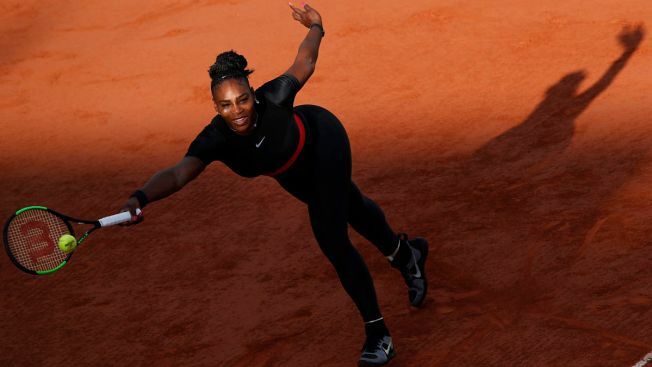 Some believe putting the word woman in quotes plays upon both racial and transphobic stereotypes that Williams herself has been vocal about saying she's dealt with over the course of a storied career. Some fans of Serena Williams are drawing aim at GQ Magazine for naming the tennis star its 2018 'Woman of the Year.' More to the point, they're upset with how that fact was illustrated on the magazine... with the word woman in quotation marks. @GQMagazine putting in quotations “woman” of the year is feeding into racist stereotypes that @serenawilliams has gone through all of her career this is extremely disappointing. What GQ magazine did naming Serena Williams as their ‘Woman of the Year' on the ‘Man of the Year’ issue was a blunder, the fact that this was their second year in a row they have taken this approach. Others however, including Mick Rouse — a research manager for GQ — said on Twitter that the cover was handwritten by Virgil Abloh of Off-White. Abloh, who also designed Williams’ U.S. Open apparel, apparently often styles words he writes in quotation marks. This year, GQ released four covers — one with Williams and three others with Men of the Year Jonah Hill, Michael B. Jordan and Henry Golding. Serena Williams has not publicly commented on the controversy.